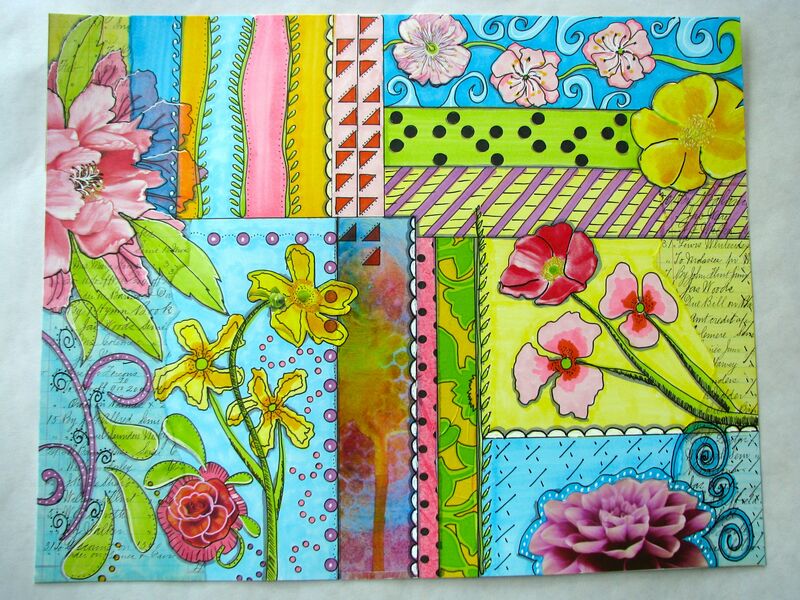 Below is my piece from Cathy Bluteau’s class “Doodling Our Way”, one of the on line classes taught in 21 Secrets. This was pure fun – no rules, just collage, doodle and color in. Not sure it is all the way done, every time I look at it, I want to add more. This entry was posted in 2013 and tagged collage. Bookmark the permalink. Gorgeous color and beautiful flowers! Just what I needed! Thanks! Lovely Marci! So your colours!